A free mobile app for Shopify merchants that brings together your customer conversations, marketing efforts, and more all in a single place on your phone. Shopify Ping helps you focus on the part of your business that matters most: your customers. Stay engaged with your customers by keeping all of their messages in one place. Shopify Ping pulls from the messaging apps you already use to bring all of your customer conversations into a single mobile app, making it easier to respond to questions and build relationships with customers even when you’re on the go. Messages from Facebook Messenger, Chatkit, and more to follow soon, come together for easy, centralized, efficient management in the Shopify Ping app. Shopify Ping also comes with Kit, a free built-in assistant that’s always working alongside you. Kit saves you time by running Facebook and Instagram ads, email campaigns, retargeting campaigns, and more on your behalf, all through simple conversations. With Shopify Ping, you’ll spend less time shuffling between separate tools and more time on what matters most: connecting with your customers and growing your business. Call us at 1-888-746-7439 for 24/7 support. 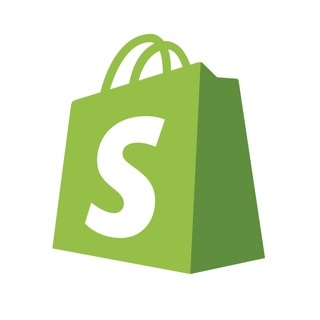 You can also contact us at support@shopify.com, or visit the Shopify Help Center. Increase your conversions by sharing discount codes in your customer conversations! This update allows you to access you store's discount codes in Shopify Ping and share them with just a few taps. • Traffic and sales from your Ping conversations can be tracked in the Marketing section of your Shopify admin. We love hearing your feedback! Please let us know what you think of Shopify Ping by leaving a review. Is Easy to use. Keep you in touch with customer. Amazing e-mail newsletter. Do all the job for you. Just answer Yes or Not and Profesional Post are immediately made. I ❤️ this app. Is Free. Fast positive result in your next campaign. Try Now! Many business use what’s app to get in contact with many customers and buissness I recommend add features to connect Kit with what’s app. Can’t attach photos, messages are delayed, sends notifications to me with MY responses, and doesn’t mark the messages in Facebook as read/responded to - thus causing my response time to go down on Facebook. It’s nice for a quick response if you need it.